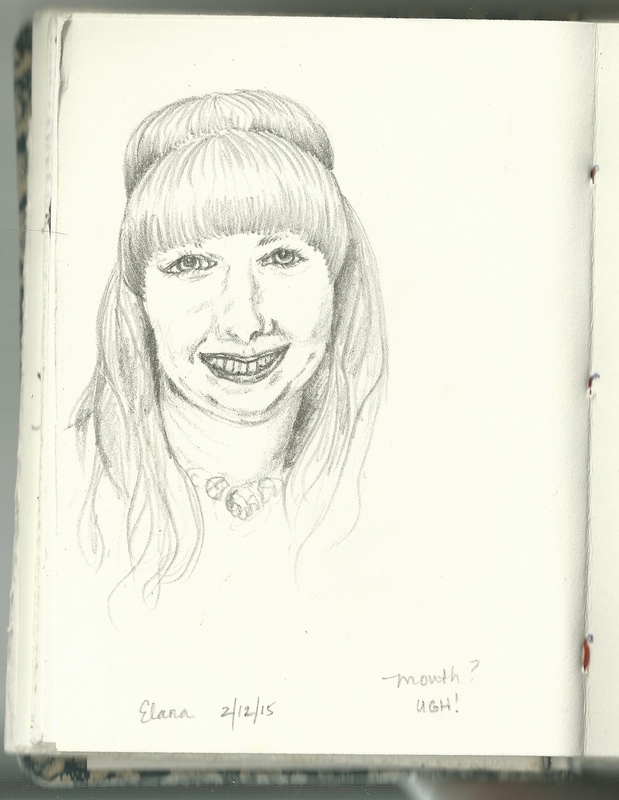 Here is a portrait done in my sketchbook of my friend Elana in pencil. Sadly, it looks nothing like her. The mouth I couldn’t get quite right! Argh! Practice makes perfect though right? And so I trudge on. It’s a beautiful portrait anyway. Did she pose for you? This is from a photograph. Unfortunately I have not seen my dear friend for at least a year now. But we email when we can. Thank you for your comment!